Credit: ALEXA WELCH EDLUND/TIMES-DISPATCH Richmond-based Altria Group Inc. owns Ste. Michelle Wine Estates. Virginia’s wine enthusiasts might not have noticed it, but one of the state’s largest companies has ventured into the wine business in a big way. 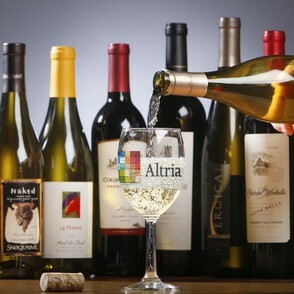 It happened without a lot of fanfare because the company, Henrico County-based Altria Group Inc., is better known for cigarettes than chardonnays. Altria, the parent company of cigarette maker Philip Morris USA, added Ste. Michelle Wine Estates to its business portfolio early in 2009. The wine company was part of the tobacco giant’s $10.4 billion acquisition of smokeless tobacco maker UST Inc.